One of the fun relays and activities at Love 4 Life, our special event for World AIDS Day 2010. We held it at IFBK school in Kigali. Several youth and youth leaders from the Nyange Peace Camp also participated. Both of these events were held by a peace of life, in partnership with AEBR Youth. See more photos of the fun that day, from water challenges to painting t-shirts. More about the photographer: Thanks so much to our official volunteer photographer of the day, Lene Amstrup-Jensen. Lene is one of the leaders of Tugende, a project by Danish Baptist Youth and AEBR Youth. 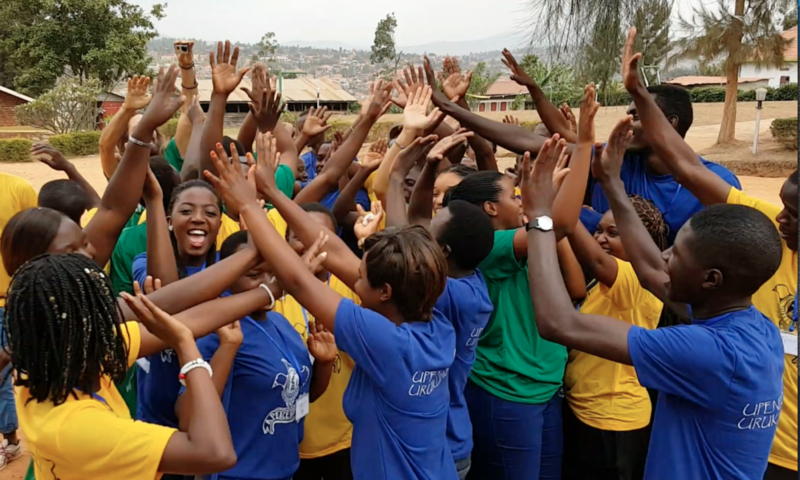 I am ‘blown’ away by the potential of this movement to change Rwanda society into an equitable. viable and jubilant society. Well done, people!